I've been having a strage problem starting my XR and was wondering if anyone else has experienced this. When I try to start the bike the engine turns, but doesn't fire. Sometimes it will just start and then it's fine. I've had this happen three times in the last month and it's been to BMW and they initially just cleared an alarm error, but now they don't know. The dealer thinks it's fuel pump related, but says they cannot replace it under warranty without them knowing for sure that it's indeed the fuel pump. Since the alarm already threw a code my bet is there is something messed up in the ECU settings or one of the sensors for your alarm causing the ECU to cut ignition and possibly fuel. Next time it happens call your BMW dealer and have them deal with the problem until it is solved. My problem at this point is that this doesn't happen often and never happens when I'm at the dealer. I have since disabled the alarm, but it still happened after the fact. I will upload a video and post it for a better view of the issue. It's frustrating as it's one of those issues that you can't seem to replicate. I have a factory alarm fitted and have never had an issue starting. I have now turned off the alarm (from the SETUP menu) because it is too sensitive and the bike is in my garage, and again no issues starting. I switch the motor off with the kill button when done rather than the key (just what I'm used to doing). Getting warmer here now so will see if the heat affects things but so far I just look at the start button and it fires! You don't want to be stranded. Or have other problems develop while underway. 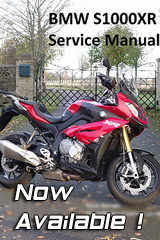 Give the bike to them and tell the service manager to ride it for the week while you're on a loaner or something. They shouldn't be sending you out on a bike that is faulty with a warranty in place! Hi. My friend has the same problem with his XR. His is worse after driving some distance, stopping (like for coffee), and then trying to start again. Could you get your starting problem sorted out? They replaced the fuel pump and seems to be fine now. Lots of videos on YouTube of people with the same issue. Ride bike > shut it off > doesn't start again for about an hour. Seen and read loads on this, happened once to my bike, it is a fuel pump fault on 15,16 bikes, the 17 latest model apparently they put a new fuel pump on them. I’ve just sent bmw UK an email about the this issue asking for a retro fit or recall, maybe you can do the same so we can all get the 17 year fuel pump fitted for free!